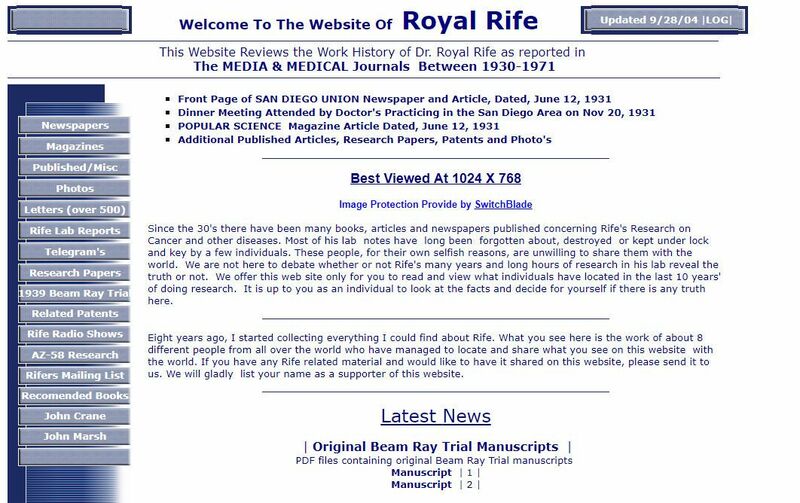 Important Resource for Historical Documents about Rife. 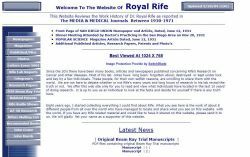 This website is a very important resource for historical information on Royal Raymond Rife. It contains a lot of historical documents, photos, etc. Unfortunately, the last update was in 2004 and some of the links are broken. 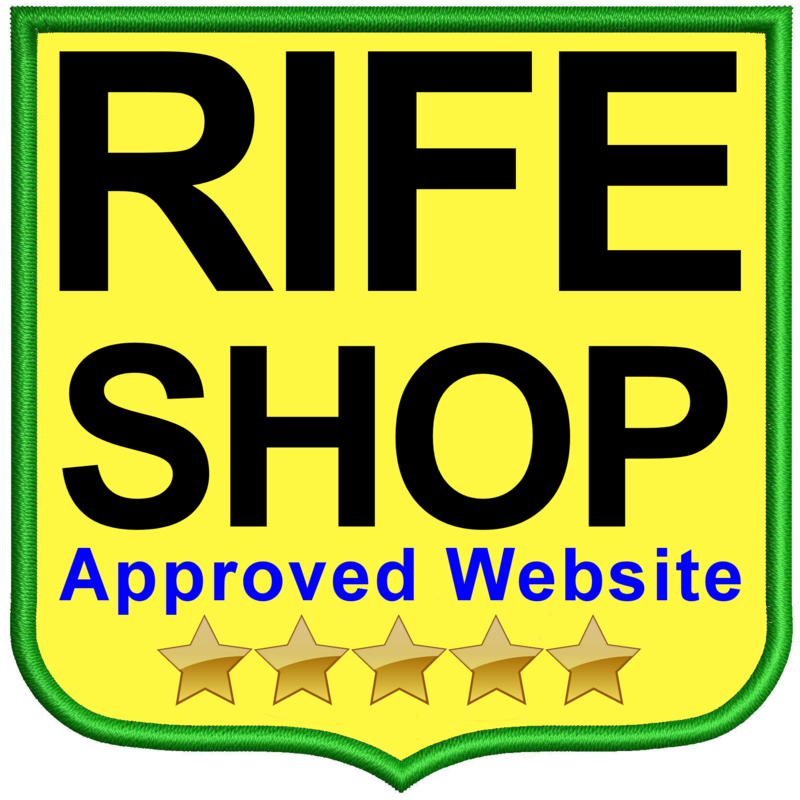 All the same, those interested in the history of Rife, will find a lot of good information, here.